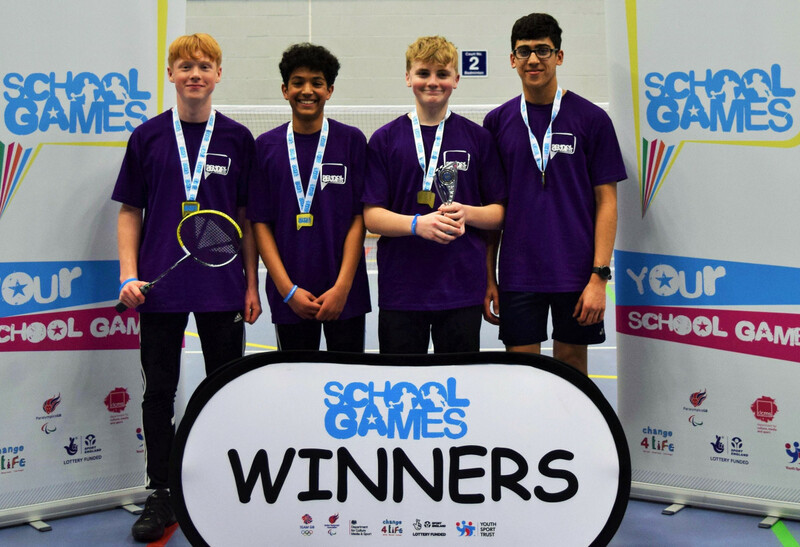 Secondary schools from Newport completed a clean sweep of trophies in the first School Games county finals of 2019. Shrewsbury Sports Village hosted the key stage three and four badminton finals, with 23 teams from 13 different schools taking part. Haberdashers Adams School from Newport won two of the four titles which were up for grabs. In the boys’ key stage three competition, they finished ahead of second placed Ercall Wood from Telford, with Idsall School of Shifnal in third. In the key stage four boys’ competition, they took the title ahead of William Brookes School from Much Wenlock who were runners-up, with Ercall Wood in third. The other two competitions were also won by Newport schools. Burton Borough took the key stage four girls’ title, with Ercall Wood in second, and Oldbury Wells of Bridgnorth coming in third. And in the key stage three girls’ competition, it was Newport Girls’ High School which won the title, ahead of second placed William Brookes School, with Bishop’s Castle Community College in third. Other schools which recorded top-six finishes in the events included Oswestry School, St Martins, Shrewsbury Academy, Thomas Adams of Wem, and The Priory School from Shrewsbury. The School Games county finals are organised by county sports partnership Energize, based at Frankwell Quay in Shrewsbury. The competition is split into a series of mini-festivals and satellite events which are held at venues across the county over the course of the academic year – each showcasing a different selection of sports and activities. The next satellite event will be at Shrewsbury Sports Village on February 12, when schools will compete for under 13 and under 15 handball titles. Wrekin College will then be hosting a mini-festival on March 21, including hockey, netball, rugby, sportshall athletics, boccia, and new age kurling.